This short story is fictional and the photographs are staged, she is not an addict but it was a possibility as she was prescribed this highly addictive drug on the spot. This story is based on factual information and statistics. This story was a possibility had we not known how addicting OxyContin really is. I hope to raise awareness for narcotic addiction and how much of a gateway it is to Heroin addiction which has claimed over 748 lives in the past year in Maryland alone. Heroin is being introduced to new areas where drugs were never a public health issue, it is now being discovered that these new areas house people who take prescription painkillers. This is someone who started out taking narcotics due to a severe injury, her doctor prescribed this highly addictive drug called OxyContin. She never wanted to become or ever thought she would become a drug addict. She loves animals, she loves life, she loves people, and she has more love in her heart than the greedy Pharmaceutical CEOs have dollars. She is a college student, she has a job, and she is now a byproduct of a billion dollar private company. She was told to take this medicine every 12 hours for pain, she suffers from severe anxiety and depression. While she was away from work and school she became lonely and her anxiety and depression worsened, that and the terrible pain convinced her to take more medicine. The problem is that some people have genetic susceptibilities to drug abuse, and if they have mental problems such as depression, anxiety or eating disorders, their risk for abuse is even higher. With the growing painkiller epidemic this is a probable scene to come home to, imagine having to see a loved one like this. (it was hard enough seeing my Fiance play the part) When she is discovered she is then rushed to the emergency room where this problem begun. She’s then billed for her treatment FROM her ORIGINAL treatment! Do you see the horrid cycle here? Her drugs were dealt by a doctor and supplied by Purdue Pharmaceuticals which has grossed over 35 Billion dollars since 1996 when their “addiction proof” OxyContin was released. Oh and she isn’t the only one, you see roughly 1.9 million Americans were hooked on Opiates in 2013. Between 1999 and 2014, 165,000 people overdosed from prescription opiates. These Americans trust their doctors and these Pharmaceutical companies, only to find themselves lost with an empty pill bottle and found again with a renewed prescription. The new “gateway drug”, especially to heroin, is the prescription narcotic OxyContin, and its active opioid ingredient, oxycodone. If a narcotic addict is no longer able to get Opiates they will turn to Heroin which is basically a cheaper, more addictive, and eventually fatal version of Opiates. More than 25,000 people overdosed from prescription painkillers in 2014 compared to the 11,000 people that overdosed from heroin in the same year. 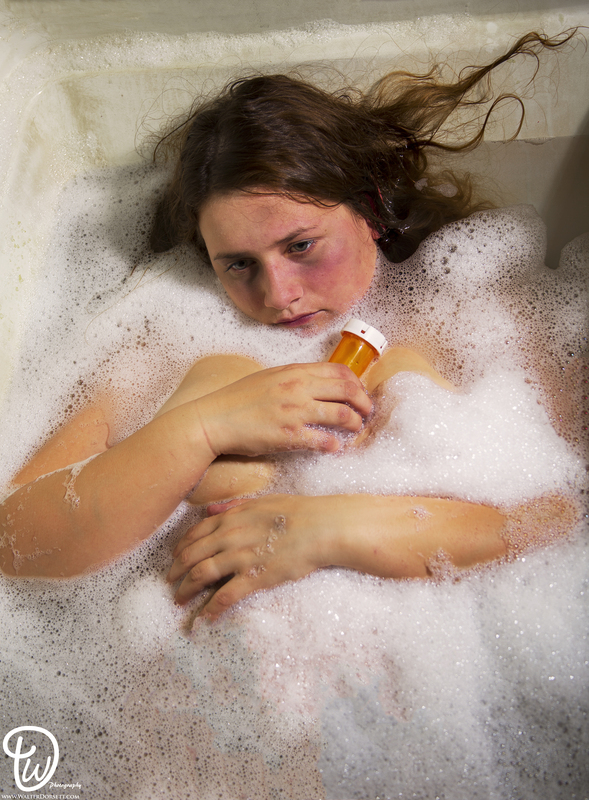 What most addicts say is that pills became harder to get and that’s when they turned to Heroin. Some dealers will add other substances such as Fentanyl which is 80-100 times more potent than Morphine. At this point Heroin is as its most dangerous point, almost every Fentanyl overdose is deadly. My question is how in the hell did this highly addictive drug, which very similar to Heroin get introduced? We have drug dealers serving jail time for a drug that is in high demand as a result of OxyContin addiction - the original suppliers and largest contributors to this epidemic are one of the richest families in the US with about 14 billion in their bank accounts. It is time that awareness is raised for the drugs and the company that has killed hundreds of thousands and profited immensely off of it. In most of these cases these people didn’t wake up and decide to become an addict, you’ll find while watching documentaries about their lives that they never wanted to become a Heroin addict - their bodies need for the high surpassed their life goals and wishes. A lot of them were injured and prescribed this addictive gateway drug and once it became unavailable, too expensive, or their bodies begun to build a tolerance they moved on to the potentially fatal version called Heroin. Lives are ruined by both drugs in my opinion however no one seems to care or focus on the fact that most of it all stemmed from a LEGAL drug. This is a drug you can purchase in a rich neighborhood or a poor neighborhood’s local pharmacy. This drug addiction doesn’t discriminate, there are hard working people with families and life goals addicted to OxyContin - they have such a probable chance of going down the wrong path. I hope you don’t take this the wrong way, I am not bad mouthing doctors, or those that rely on this drug (cancer patients etc.). But at some point someone needs to look at what’s happening and talk about it. I have read so many articles and seen so many documentaries about how people became addicted to the deadly drug Heroin, most of them started from a prescription painkiller, and it was almost always OxyContin. I am just so disgusted that the salespeople, the CEO’s, the drug manufacturers, and Perdue are living lavish lives, lining their pockets every day with more and more money at the expense of creating a death sentence for their customers. Now the county I live in is struggling with the consequences of Heroin addiction, all of the crime, deaths, and lives ruined in just my small county are horrifying. Even if the painkiller’s label warn you about addiction, is it worth it for these companies to take the risk of innocent lives? How can a drug as addictive and dangerous as OxyContin still be legal? Corruption in congress, corrupt doctors, and corporate GREED is killing off our population and they’re getting rich off of it. While you’re planning your loved one’s funeral they’re laughing in a G5 private jet over caviar and lobster. This isn’t just against Purdue and OxyContin, however they are the largest contributors to this epidemic. The important thing to remember is that these addicts need your help, they cannot beat addiction alone, and when they’re left alone or shunned is when they’re most vulnerable and will turn to more drugs. Speaking of GREED, I’m sure you know about how Mylan Pharma aka the company selling the Epipen. Well did you know it costs the wholesale cost in the developing world is between US$0.10 and US$0.95 a vial? Earlier this year they hiked the price up to $600. The whole time while Americans are suffering these billionaires literally control millions of lives and sadly only care about the profit. This needs to END now, since when did money become more important than human lives? Why do these CEO’s need more money than they’ll ever need or be able to spend? I wouldn’t even want that kind of money if it meant lives are being lost. Here’s testimony from a LOCAL Elkton, Maryland woman named Megan: “I had a prior addiction to “Benzos” and Alcohol since she was about 11 years old.” Her first dealer was her mother’s medicine cabinet. One day she ended up going to the ER for abdominal pain and she was given IV morphine and then was sent home with a prescription for 30MG Percocets. She says from that point that it was “off to the races”. Megan actually contacted me and says she hopes that people are becoming educated about what she’s going through at the moment, she’s currently in the ER due to overdosing this morning. “OxyContin, an opiate painkiller, came on the market just as the Commission’s rules were being debated and changed. It was not a new drug, but rather a new version of oxycodone, a drug most often used to control the pain of terminally ill patients, who are not in danger of addiction because of the shortness of their life spans. OxyContin, however, was not just marketed to doctors who treat cancer, but to primary care physicians. The idea was to make it available to people in chronic pain, such as those suffering from arthritis, and even those in acute pain, such as those with sports injuries. By 2003 half of the physicians prescribing OxyContin were primary care doctors. Purdue Pharma used sophisticated strategies to market their new product. The company set up pain management conferences in Florida, Arizona, and California, and then paid for the travel expenses of 5,000 doctors, nurses and druggists to attend them. Purdue Pharma increased their sales force from 318 to 671 representatives between 1996 and 2000, and paid out over $40 million in bonuses to top salespeople. Salespeople told doctors that the new drug was not addictive, and they often cited several studies of over 11,000 people who had taken OxyContin. The studies found that less than 1% became addicted. All of this was highly effective: the number of prescriptions for the new drug went from 670,000 in 1997 to 6.2 million in 2002. Since the mid-1990s, new studies have found that oxycodone-based drugs are indeed highly addictive. The research used to market OxyContin had focused on people in acute pain, and not those in chronic pain who are more likely to use the drug for months and more likely to become addicted. Another problem is that some people have genetic susceptibilities to drug abuse, and if they have mental problems such as depression, anxiety or eating disorders, their risk for abuse is even higher. This group of people can become addicted to opiate painkillers within a week. In 1997, Purdue Pharma and three company’s current executives pleaded guilty to misleading the public about the safety of OxyContin and agreed to pay $634.5 million in fines. The U.S. Department of Health and Human Services barred these men from doing business with Medicare or other taxpayer-financed healthcare programs for 20 years, and in December 2010, a federal judge upheld the disbarment. By then the National Institute of Drug Abuse was estimating that over five million people were addicted to opiate painkillers. This agency, the United States Substance Abuse and Mental Health Services, and Partnership for a Drug-Free America are finding that prescription drug abuse is now more prevalent that abuse of cocaine, heroin, and other street drugs. They are reporting a 400% increase in the number of people being treated for prescription drug overdoses in emergency rooms and admissions for prescription drug abuse into treatment centers. These once highly-regulated drugs are now readily available in many people’s medicine cabinets. “Pain clinics” have sprung up all over the country, making it easier for people to obtain them by prescription if they cannot get them in emergency rooms or from their own doctors. “In cities, towns and even rural areas all across America, heroin addiction is a growing problem. Even in communities where there was previously little or no heroin abuse, say law enforcement officials, the notorious illicit street drug is now becoming more and more familiar, and the need for local heroin detox programs continues to grow. The common denominator in all these communities, according to recent studies, is the proliferation of OxyContin addiction and abuse (heroin’s legal opioid cousin). This prescription narcotic is so chemically similar to heroin that, for addicts and abusers, they are virtually interchangeable. But what is not interchangeable is the price, says enforcement. A hit of heroin is a fraction of the cost of the same high from OxyContin (or oxycodone). Prescription narcotics generally sell on the illicit street market at around $1 per milligram. A one-time high from an 80 milligram oxycodone pill for an experienced user would run roughly $80. Heroin, on the other hand, sells in many areas for around $100 a gram. Depending on a user’s tolerance level (long-time users need more per dose) a gram can deliver up to 20 doses, or highs. In other words, it’s vastly less expensive to get and stay stoned on heroin than OxyContin. That’s what is driving OxyContin addicts away from their tidy, predictably-measured and reliably-pure prescription OxyContin, to the infinitely more unpredictable and dangerous heroin. We say heroin is more dangerous only in this one aspect: unlike laboratory-pure and laboratory-measured pharmaceuticals like OxyContin, heroin is usually mixed, or cut, with unknown and sometimes toxic substances. This renders both its strength, and its level of toxicity, unknown until after you’ve tried it — and possibly died in minutes. These danger factors of heroin are more important to newer users, who lack the street experience and contacts to know before they go shooting it into their veins. In all other respects, the two drugs are largely the same — this is not laboratory data, but reliably gathered from patients at OxyContin detox centers who have tried them both. In Florida, OxyContin detox is a high-demand service at Novus Medical Detox Center in Pasco County. The blurring of the lines between OxyContin and heroin has been evident for some time. In 2014, almost 2 million Americans abused or were dependent on prescription opioids. A survey of 75 detox patients last summer, by researchers at the University of Buffalo, NY, found that 40 percent became dependent and addicted while taking legitimate opioid prescriptions. Almost all of them — 92 percent — said they eventually began buying illegal drugs, usually heroin, because of its much lower cost. Treatment: "The Waismann Method of rapid detox successfully and safely treats OxyContin addiction. Our humane rapid detox rids patients of opiate addiction in a matter of days, compared to weeks or months with other detox and rehab facilities. It’s performed in an accredited hospital and takes less than two hours using medicine to cleanse patients’ opiate receptors. This occurs while they are under deep sedation administered by board-certified anesthesiologists. The withdrawal phase is accelerated and happens while patients are sedated. They awake opiate-free without awareness of withdrawal symptoms that occurred."